At Cherry Street Health & Wellness we structure nutrition plans based on your lifestyle and health needs. It is the quality of food that drives our genes function, metabolism and health. Your diet should not be dependent on cutting food from your meals but adding powerful foods that will positively effect your biology and balance your system to process nutrients properly. 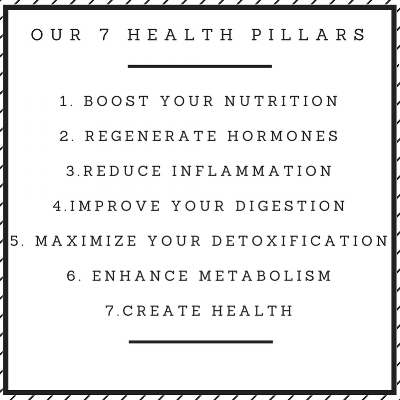 In truth, health issues are a result of dietary issues, lifestyle and environmental toxins interacting with out genetic susceptibility. When creating your unique nutrition plan we focus on these five causes that disturb the whole system. Instead of temporarily treating your ailments with drugs we prescribe a superfood rich nutrition plan that will fix your body for good.